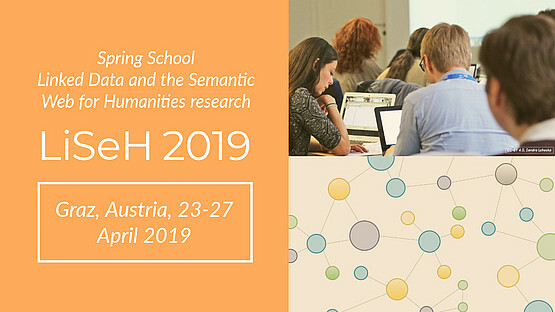 The spring school is co-organized by the Austrian Centre for Digital Humanities at the Austrian Academy of Sciences and the Centre for Information Modelling – Austrian Centre for Digital Humanities at the University of Graz. It is part of the ‘Training Digital Scholars: Knowledge Exchange between V4 and Austria’ Series financed by the Visegrad Fund, in collaboration with the ‘ELEXIS’ Horizon 2020 project and the Erasmus+ project ‘DigiCulture’. Participation is free of charge and open to 25 students and scholars of all academic stages. No previous specific skills are required (although basic digital knowledge would be useful). To apply, we ask you to use the application form and provide a brief motivational note why you would like to attend the spring school. Also, consider submitting an abstract to the poster session. If you would like to present your project, research or idea in the poster session, please include a short abstract of max. 300 words in your application. We reserve the right to choose the individual participants as well as the reimbursement grantees based on their research/study interests and motivation. Applications are welcomed until February 28, 23:59 CET. Acceptance will be communicated by March 11. Reimbursement of up to EUR 400 will be awarded to 3 participants who apply for it in the registration form and are accepted to give a presentation during the poster session. Reimbursement guidelines will be provided after acceptance.